Over the last several years, the practice of meditating has become a popular way for people to manage their stress, and studios have popped up all over the globe. As potentially one of the most stressed out cities in the world, Tokyo probably needs one. That’s where muon comes in. 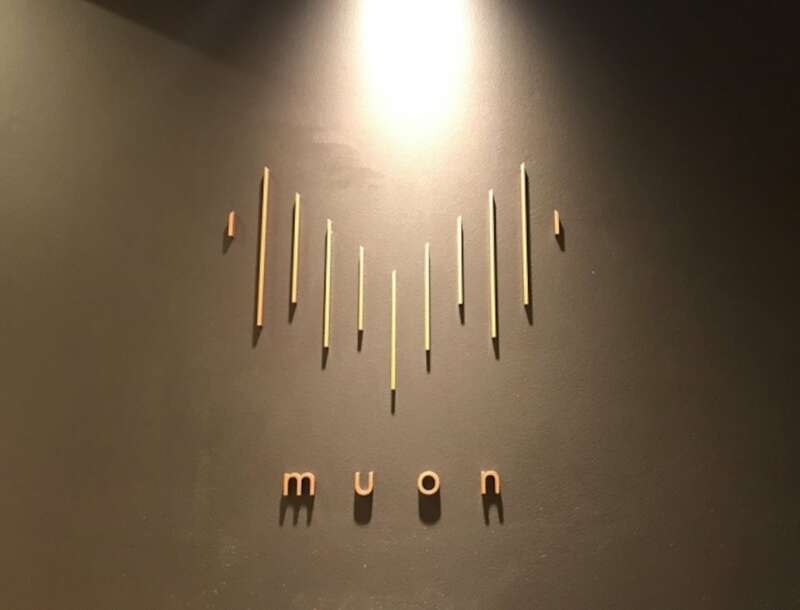 Unlike other meditation studios that typically combine yoga and meditation, muon focuses solely on offering a pure and genuine meditation experience, and might be the first studio to do so. Having received a flyer in the mail, Anji—a Japanese-language reporter from SoraNews24—went to check it out. There, she learned from the pamphlet that reservations for the studio are online only, and you can reserve a slot up to one hour in advance. Canceling is easy too; so long as you do it up to one hour before your session, cancellation is free. You don’t need a change of clothes or any equipment, so you can just show up empty-handed. You won’t even need to bring your wallet; you’ll pay for your appointment when you book it online. Upon arriving at the studio, the first thing Anji saw was this mystical entrance. 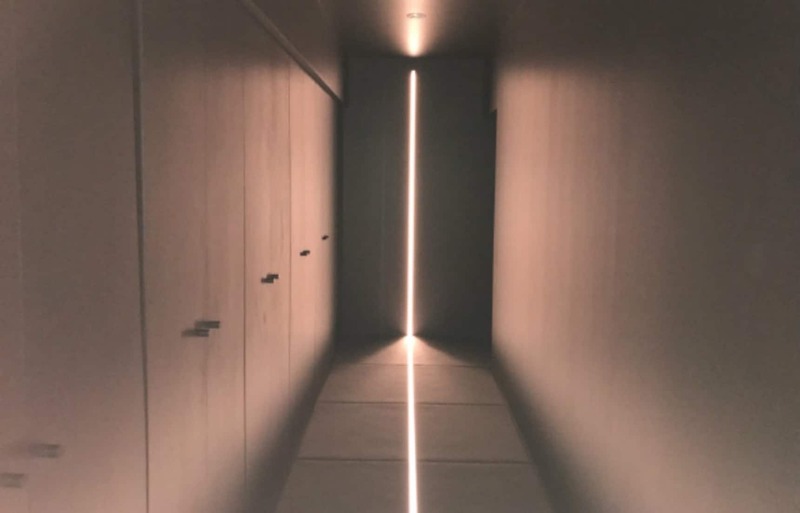 A straight, bright line waited for her at the end of a completely dark hallway. It was like a guiding beacon that would lead her to peace and nirvana. Once she entered, Anji was greeted by a young woman who offered her hot water that was boiled in a heavy iron pot. Seated in the waiting area, drinking hot water and taking in the aromas carefully mixed by a professional aromatherapist, Anji felt her body and her mind start to switch into “off mode." Soon she was led into the meditation studio, which was filled with pillars of dim light that gave off the feeling of warm trees. No cell phones or digital devices are allowed, as they want you to have the full experience of lacking possessions that tie you to your physical body (though Anji was allowed to take photos for the sake of this article). Placed between the pillars of light were comfortable-looking cushions and mats to sit on. Although it was indoors, the whole atmosphere resembled being in a forest, surrounded by beautiful trees. Anji picked a spot she liked, and once she was settled in the session began. At muon there are four courses to choose from, but as a beginner Anji chose the beginners course, “Mindfulness." This 30-minute course encourages you to focus on your breathing and your movement. Following the voice of a former news caster, she performed some light stretches while focusing on her breathing. Then, she was instructed to place her hand on her stomach and feel the warmth of it against her skin. This was a way for her to formally learn about “being in the moment." But what Anji thought was the biggest benefit of the studio was the environment. After her session at muon, she tried to meditate at home but actually found it rather difficult; she couldn’t really replicate the feeling of the studio that helped her be more in the moment. She’d also relaxed so much more at the studio, so if she can swing it, she might even try to go about once per week! And right now, she can. Until July 31, 2018, muon is holding a campaign that lets the customer decide the price of their practice. They can pay as little as ¥1,000 (about US$9) for a session. Since muon is really the first meditation-only studio, they didn’t have a pre-established market to base pricing on, so after August 1, 2018, they will consider suggestions from their customers to finalize their pricing. Anji asked what kind of customers have been visiting so far, and the staff told her that it has been roughly equally divided between men and women who were between 20 and 60 years of age. The most popular courses are the “Mindfulness” one that Anji took and the “Sleep and Recovery” course, which is conducted lying down on a comfortable futon-like cushion. As expected, many tired Tokyoites end up falling asleep during the latter course, but for muon that isn’t a problem at all. They simply want people to slow down, relax and forget about their busy lives, which is something we can all get behind! When you’re having a rough day or a stressful week, combine a visit to muon with a session at the sleep-inducing head massage parlor, and you will be treating yourself to an afternoon in nirvana! Simply amazing — these unbelievably life-like stuffed dolls will take your breath away! Onsen & Karaoke: Sing While You Soak!